Don’t miss your shot to attend the best DPSST Unarmed Security Course in Springfield Oregon. Sign Up for an upcoming DPSST Unarmed Security Course in Springfield Oregon! 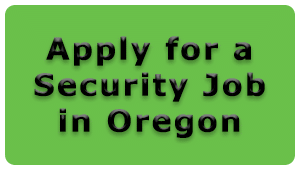 The DPSST Unarmed Security Course is the training you need before you can submit your application with the State to become certified as a Private Security Professional in the State of Oregon. The DPSST Unarmed Security Course is the most updated course for unarmed security professionals. The class is 14 hours long and is conducted over a 2 day period. The lecture portion of the class includes topics on ethics, morals and professionalism, how and when to notify public authorities, making citizens arrests, report writing, criminal law, civil law, court room testimony, use of force and other legal considerations to assist the security professional on making good decisions. Students then take a 50 question closed book test to ensure all information from the DPSST Unarmed Security Course was retained. Students are required to score at least 85% on the written examination. Upon completion of the DPSST Unarmed Security Course, each student will be provided all required paperwork which will need to be submitted to DPSST’s Private Security Division. 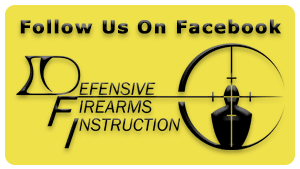 It is important to remember that class fees are paid directly to Defensive Firearms Instruction, which is separate from the state certification fee which is paid to DPSST Private Security upon submitting the application. the state fee of $105.00 which needs to be made out to “DPSST Private Security”, can be made payable by Money Order, DPSST Credit Card Form, Cashier’s Check, or Business Check. Each student has to submit their application within 180 days of the completion of the course and the DPSST Unarmed Security Certification is good for a period of two years. Applicants are not authorized to work as a Private Security Professional until their application has been submitted and they either have their physical card in hand and are listed with a company, or have received a PS-20 (temporary work permit) from their employer and a copy has been submitted to DPSST. Individuals who are certified as a Private Security Professional can renew their certification 180 days prior to their certification expiring. The refresher training consists of 4 hours of in-class training. Don’t miss your shot to attend the best DPSST Armed Security Course in Springfield Oregon. 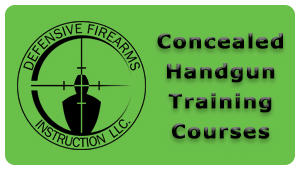 Sign Up for an upcoming DPSST Armed Security Course in Springfield Oregon!